I love the magic quietude of this painting. Little girls shift attention and direction so swiftly, it is worthy to capture a moment of absorption in play. Paintings of children capture in a tender and immediate way times that are fleeting, life that is past. 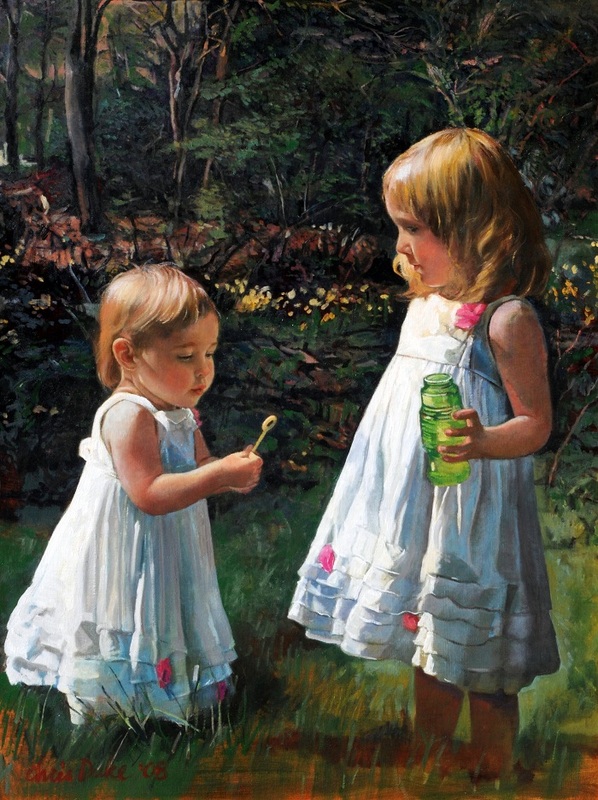 This painting, for the mom and dad, captures their daughters in a precious season. These girls have already grown considerably! Madison will have this painting when she is an adult.